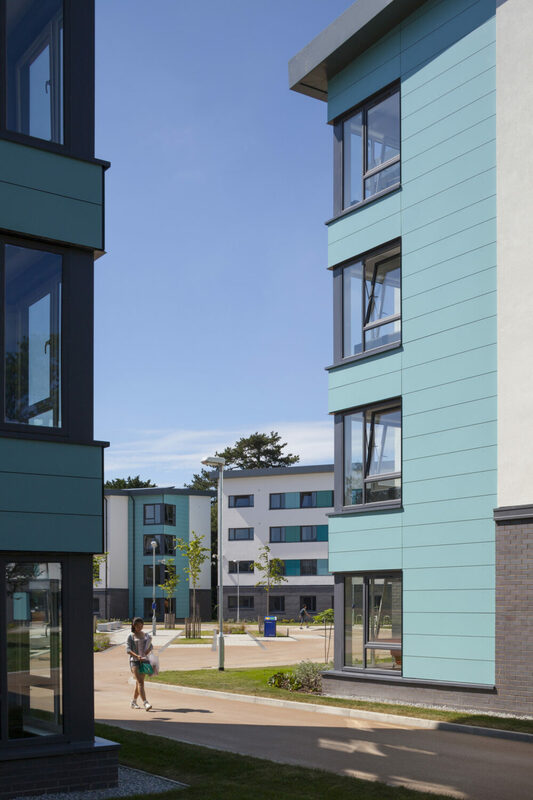 Bridges Hall was our third major on-campus scheme for the University of Reading. 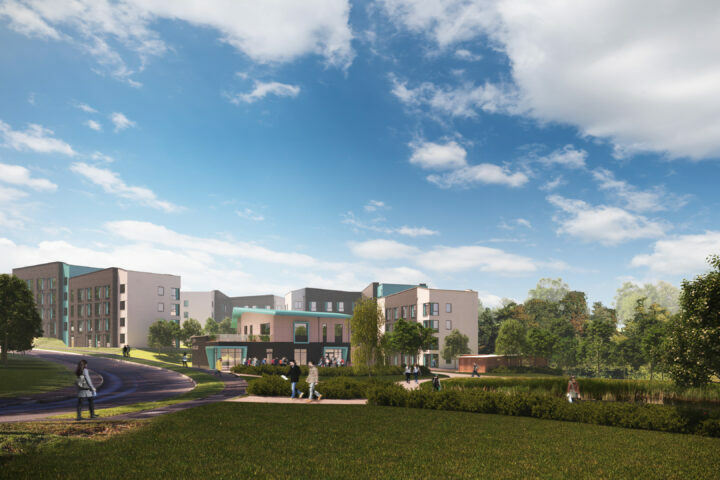 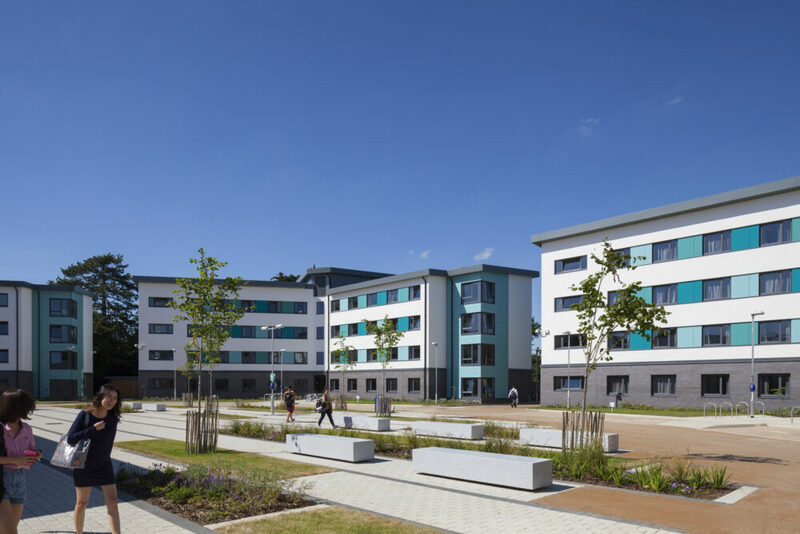 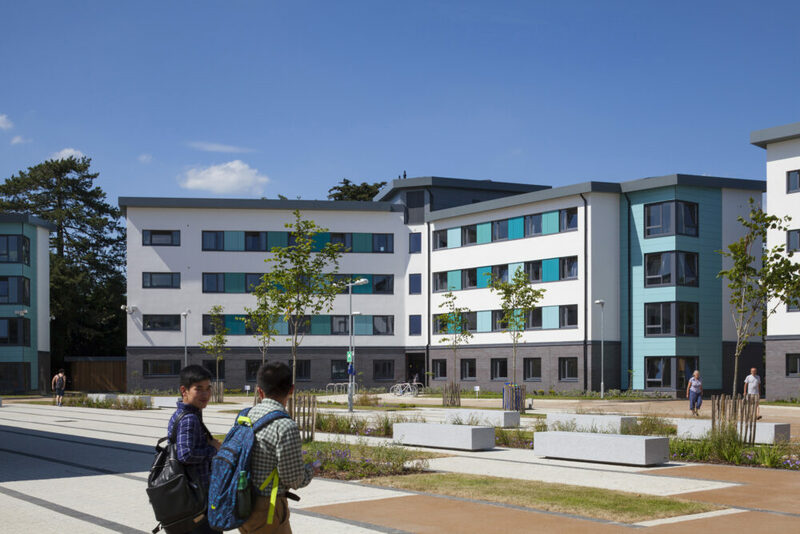 The development saw the replacement of a 1970’s residences, that was no longer meeting student expectations, with a courtyard development of 649 student bedrooms. 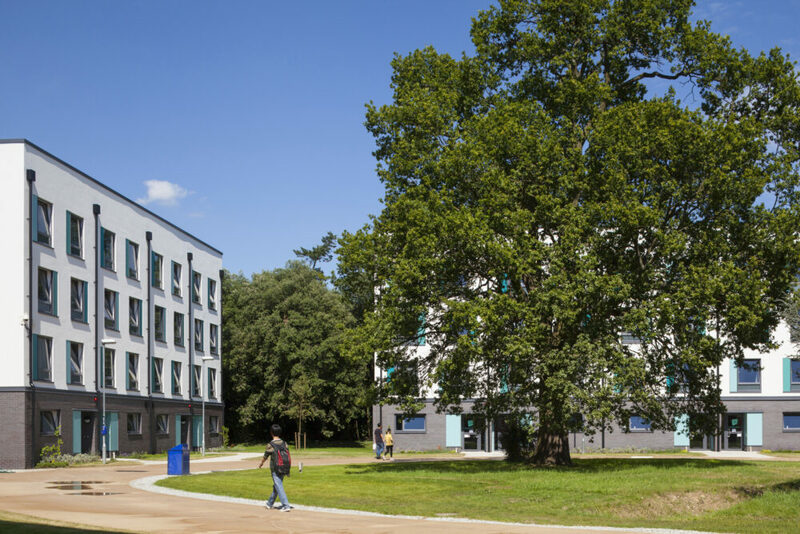 A key objective for the University was to support and enhance the student experience on campus. 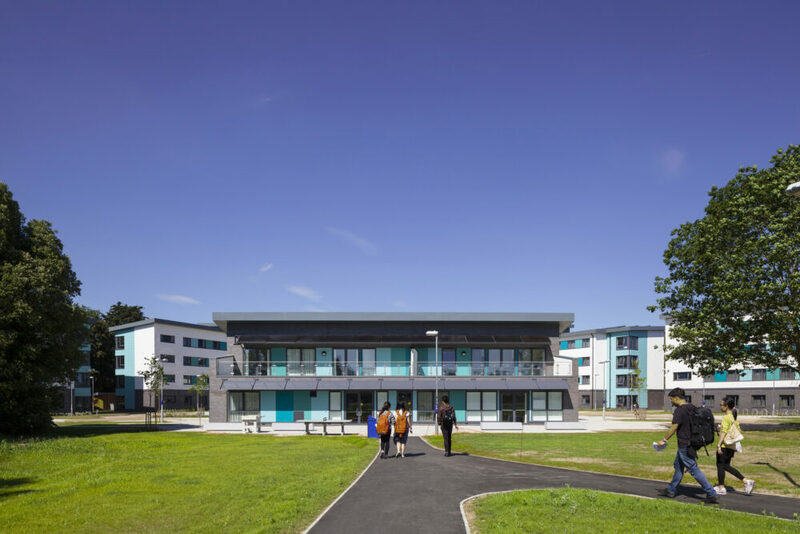 The design creates a student focussed environment, structured around two high quality landscaped spaces, each with its own distinct character. 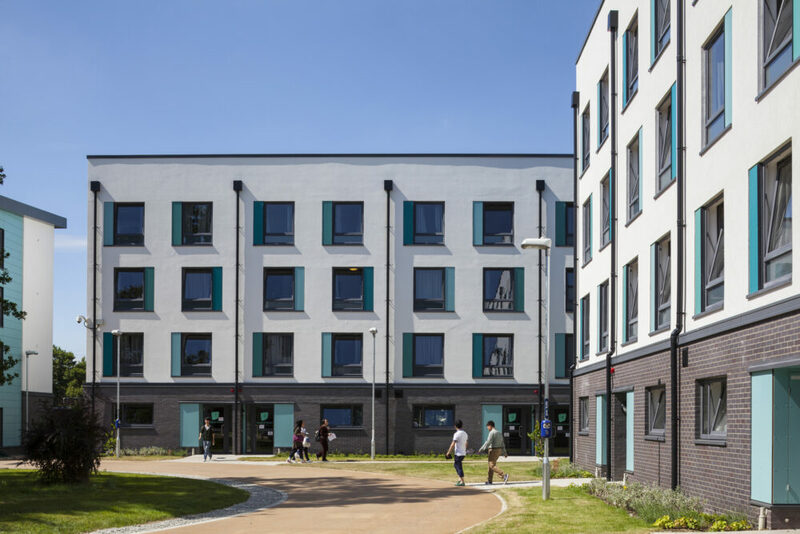 The larger courtyard is centred around a Junior Common Room and student services building. A number of existing mature trees are incorporated into the design, softening the appearance of the completed buildings and bedding the development into the parkland campus setting. The intensification on site from 458 to 649 rooms provided much needed rooms for the University. 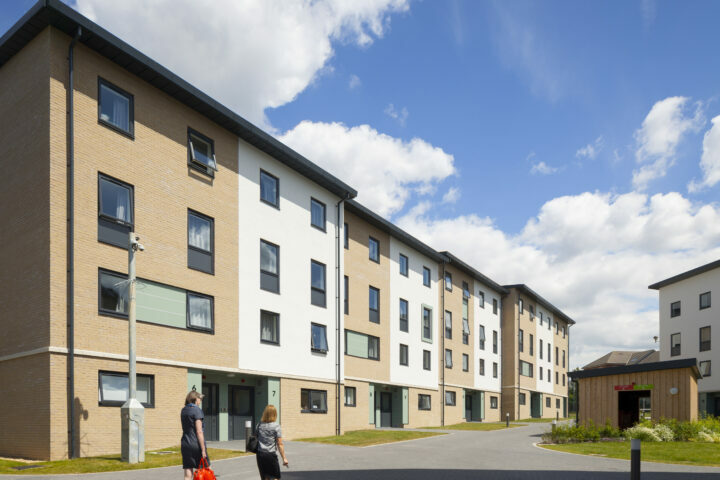 The accommodation mix included 30% of rooms in flats with shared bathrooms and 30% of rooms in townhouses, helping the University to maintain a balance of affordable rooms within its portfolio.